FXTrader Paul, Trading Edcuation, Trading Links, Trading Performance, Trading Psychology, What Type of Trader are you? I admit that I missed this piece by the BBC until very recently. 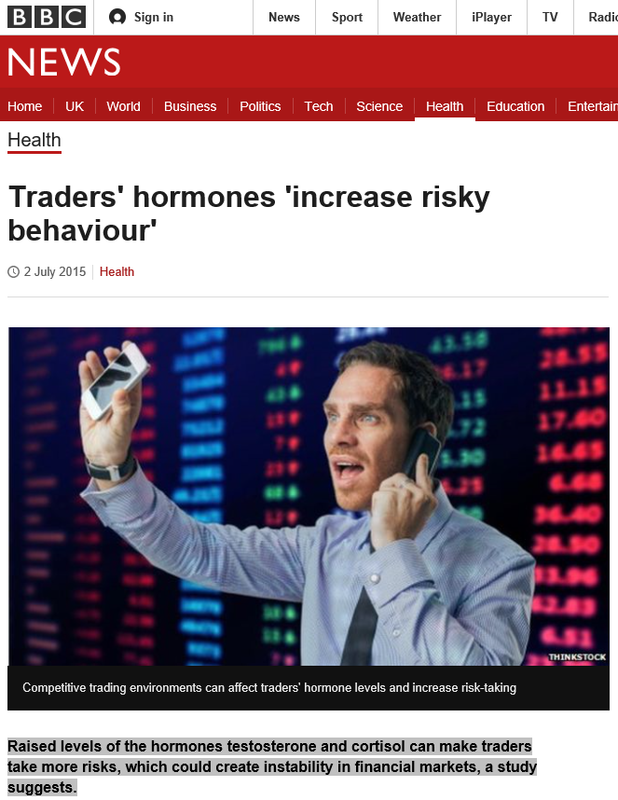 The gist of it being: Raised levels of the hormones testosterone and cortisol can make traders take more risks, which could create instability in financial markets, a study suggests. That project took an interesting look at the disposition effect co-efficient and also the effect of hormone changes. The xDelia view was that a profile of increasing testosterone and decreasing cortisol was associated with higher profits and more rational decision-making. Now both of those studies were based on a stock-market game rather than the cut and thrust of real market operations. Nevertheless the results are interesting and are worthy of consideration. Clearly most of us have no idea what our hormone levels are on a day to day basis (though we maybe aware of how they manifest themselves in our behaviour in both life and the markets.) Within the trader performance / management niche it has led to more and more of a drive towards mindfulness and meditation, in some way, to help manage ourselves better and regulate our emotions.